The cultural material and artifacts located in Scarborough Harbor potentially comprise one of the world’s most important sources of material concerning 17th century seafaring, ships and maritime culture. As such, a concerted effort was initiated in 2007 by Dr. Kroum Batchvarov to obtain permission from the Tobago House of Assembly (THA) to conduct proper scientific excavations and conservation of these endangered material remains. In April 2012, after 5 years of lobbying, the THA issued Batchvarov and his project team a permit to conduct an archaeological investigation of the shipwrecks located in Rockley Bay, Scarborough Harbor. The primary objective of the RBRP is to locate and survey 17th century shipwrecks associated with the Franco-Dutch naval battle of 1677. The next stage of the Rockley Bay Research Project will be to conduct a thorough survey Scarborough Harbour, assess Site TRB-4, and relocate sites along both the ferry jetties and the Navy station jetty where construction cut through ship remains. 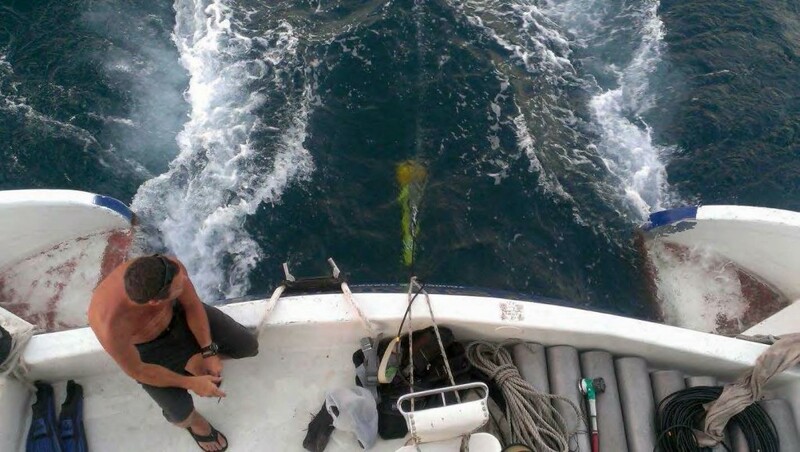 During the first ten day expedition in 2012, the team located and recorded multiple cannon, anchor, ceramic, and metal artifacts as well as wooden hull remains of five to seven shipwrecks in Rockly Bay, Scarborough Harbour, Tobago. 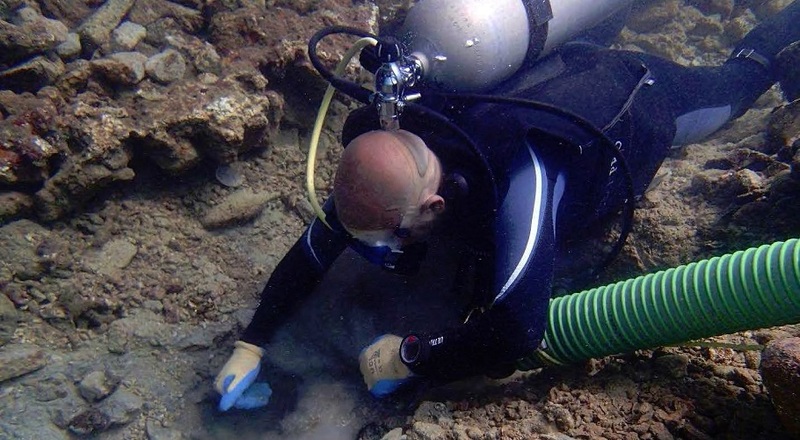 In 2013 and 2014, the team conducted test excavations at three potential shipwreck sites, pioneered new 3D recording techniques and collected samples of intact hull structure for dendrochronological dating. Based on the material observed at TRB-5, the RBRP team believes it has discovered a coherent and potentially historically significant 17th century Dutch wreck, possibly the Huis de Kruiningen. Beyond this important archaeological find, the team also tested and successfully produced new recording methods utilizing Structure from Motion technology. SfM allows field projects to better understand, plan, and disseminate information about a site in real time. Learn more at the project’s virtual museum. ABOVE: Dean monitoring side-scan sonar during the survey in Rockley Bay (Photo: INA, K. Batchvarov 2014).